It is late. It is hot. I am sitting with my face close enough to touch the ventilator and concentrate on relaxing my tired eyes, absorbing the stale wind that hits my face and immersing in the sounds of David Velez, which plays over and over its twenty minutes long piece until the point I have no idea if I am listening to the beginning or the end. It is collapsing on me. The world, the pain and the metallic sounds in Alku, which hit and resonate through each other. I am distracted only by momentary loss of my equilibrium through the total yield to the claustrophobic closure through the monolithic sounds of this 3″CDr. The ghost footsteps, or something which sounds similar, seem so close to me when compared to the vague, distant drones that keep this track breathing. My head is close to the ventilator in my room, the metallic scratches come either from it or from my speakers, at this point I don’t know anymore. I am torn between two perspectives over this mini album. One through which I am listening to Velez building layers over layers like a massive tower of Babylon or a wall circling the city of Dis, while the other perspective clearly shows the entire musical world of Alku collapsing. The center cannot hold, and the magnificent sounds swirl and crash into each other, slowly, oh so slowly. 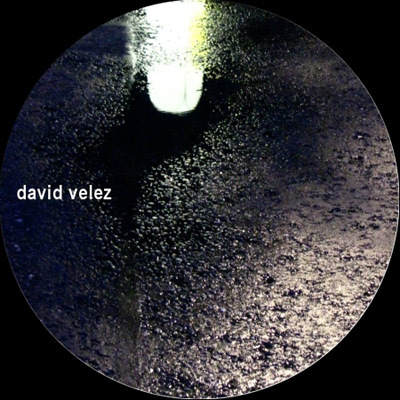 Through diverse and demanding sounds, Velez realizes an industrial twilight around the ears of the listener. Alku remains an aural hologram that vanishes as soon as I press stop, but parts of it grows on you even after that point. That is the magic and Alku is full of it.